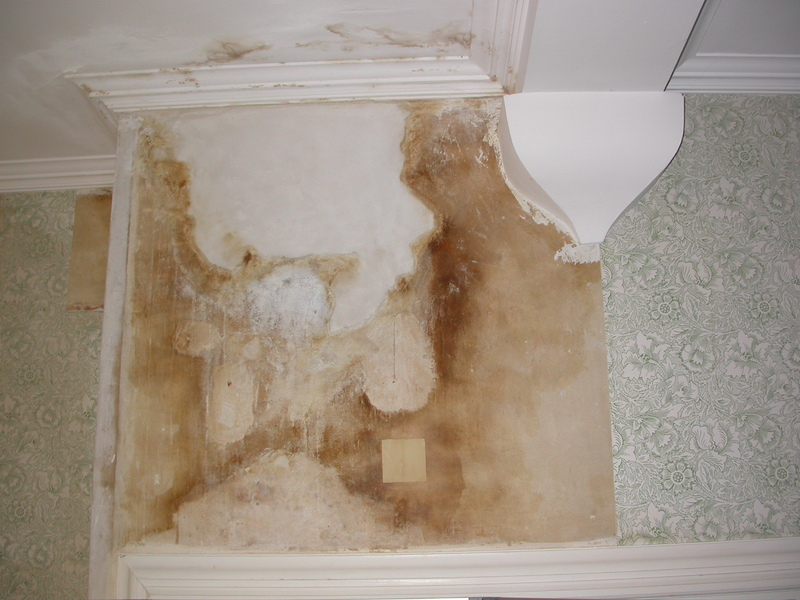 Following on from my rather mammoth post on how we look after and clean wallpapers, I decided to ask our volunteers what wallpapers they really liked and what one they did not like. Now with 8 different wallpapers to choose from, picking a favorite one proved to be quite difficult. All eight were chosen by at least one volunteer with very different reasons given as to why. It made an interesting read. Now the winner is …. This proved to be by far the most popular of the eight. 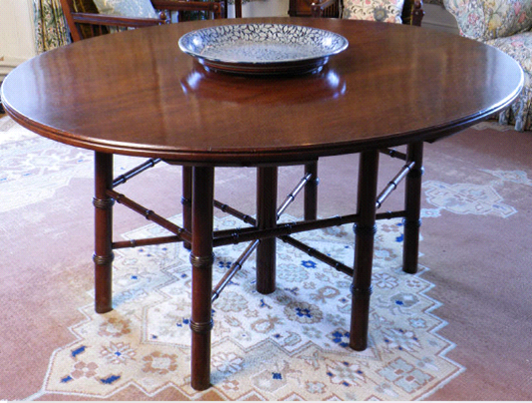 Larkspur was designed by William Morris and was first produced in 1872. However, it looked a bit different to what we see now. Originally, Morris designed Larkspur as a monotone, with the pattern being printed in a dark colour, like navy blue and black, on a white background. 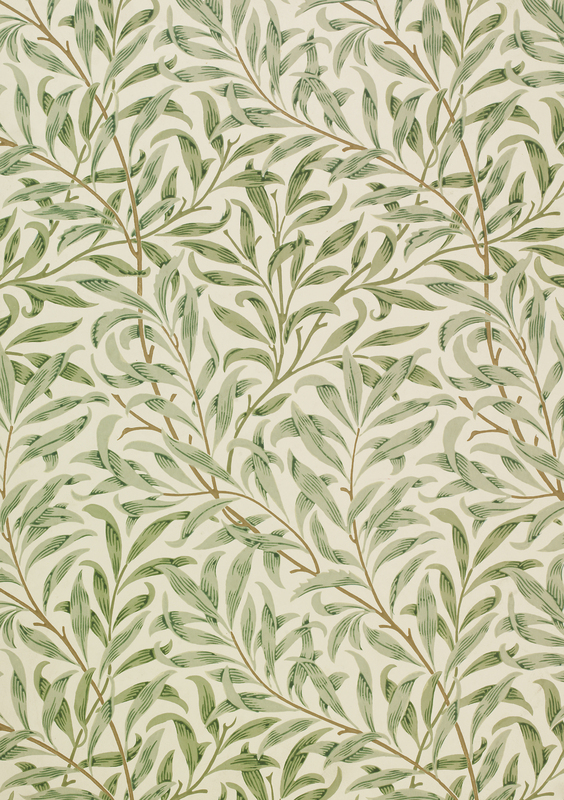 Fast forward to 1875 and Morris decided to redesign Larkspur to give the pattern more depth and colour. 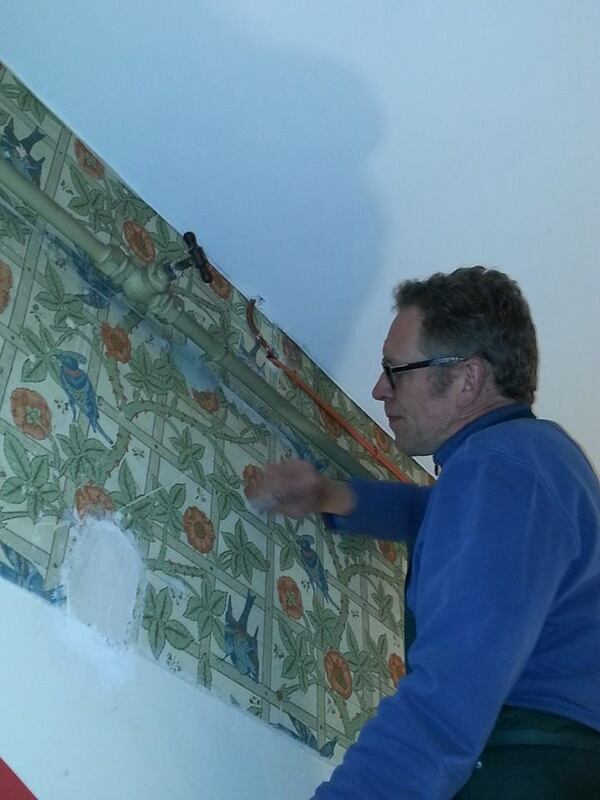 This redesigning meant that it now took 12 blocks to print a square meter of wallpaper. 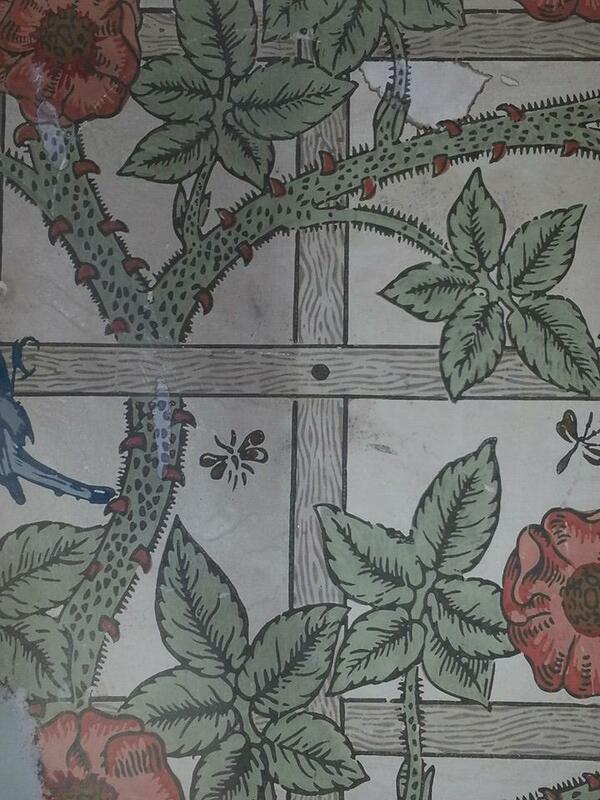 Similar to all Morris wallpapers in the late 19th and early 20th centuries, everything was hand printed. These blocks were incredibly heavy though! 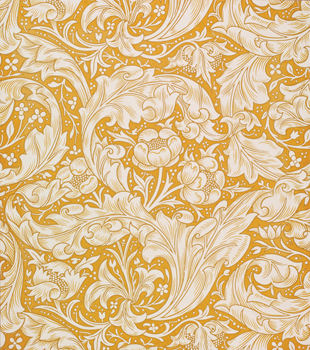 Morris had originally started designing wallpapers in the early 1860s, around the same time as he founded Morris & Co. 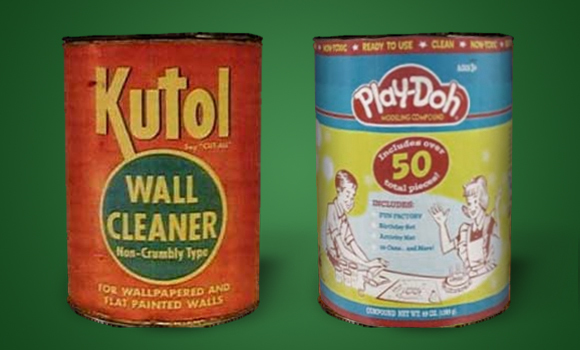 It was around this time that wallpapers started to be mass-produced. However these mass-produced designs tended to be simple repeating patterns with little depth. 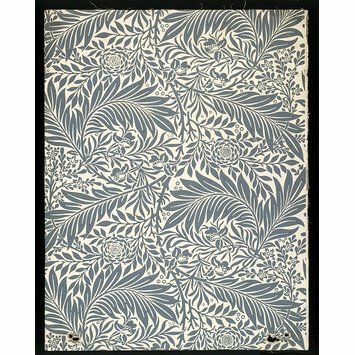 Morris’ designs, although expensive, filled this gap in the market providing rich, colourful patterns that drew inspiration from nature and the world around him, a recurring theme in all his work. 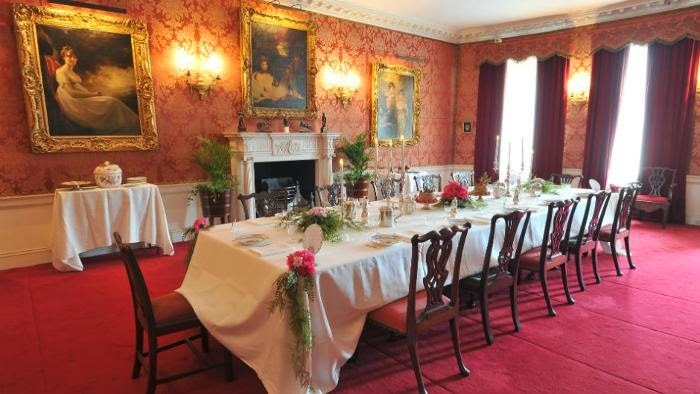 The volunteers gave a variety of reasons for choosing Larkspur as their favourite. Most of them loved the soft colours and how pretty and dainty the design was. 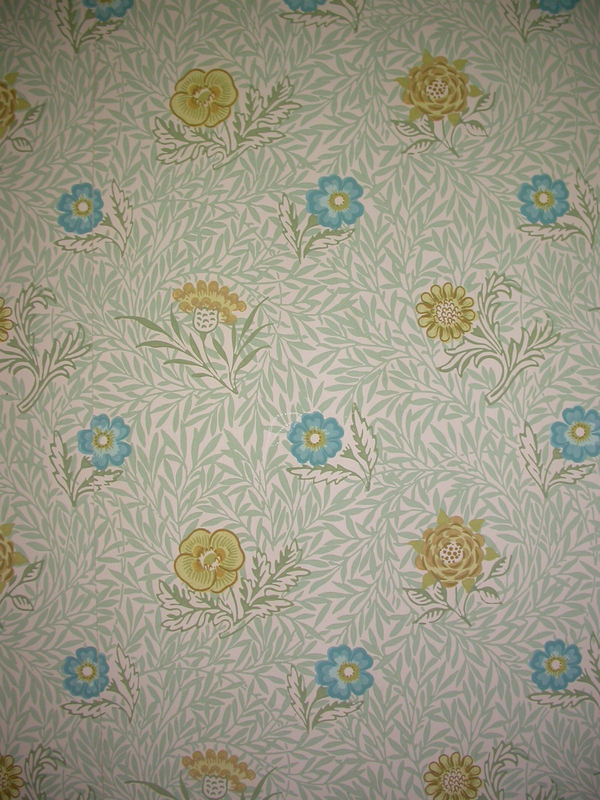 They all agreed that it is perfect for a bedroom setting with one volunteer remarking that ‘it reminds me of my parents bedroom’ and the lovely memories that seeing the wallpaper triggers. Powdered was a close contender for the title, with similar reasons. 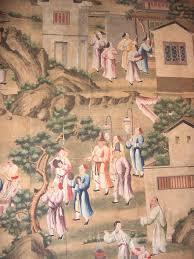 They liked how delicate and soft the design and colours are as well as it naturalism. 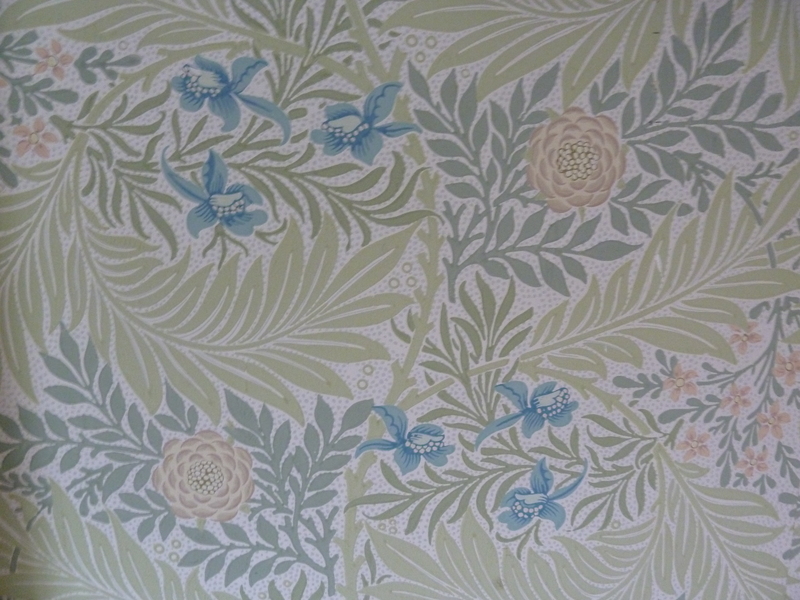 What is your favourite wallpaper here at Standen? Categories: Uncategorized | Tags: Larkspur Wallpaper, wallpapers, William Morris | Permalink. 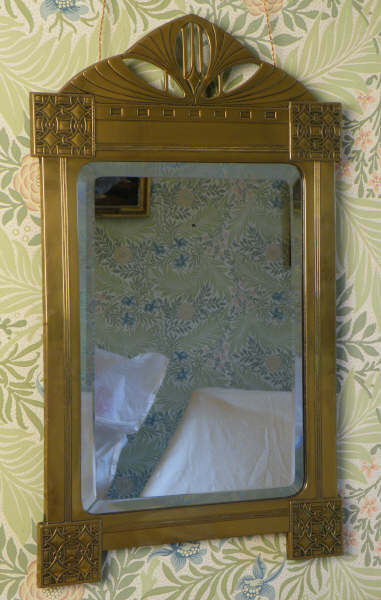 This mirror was made in Vienna, Austria around 1900. It is made in the Art Nouveau style, a style favoured by Charles Rennie Macintosh and Gustav Klimt. 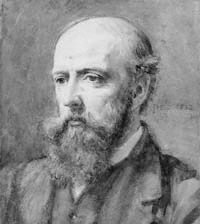 Secessionism refers to a movement in the late 19th and early 20th centuries, where groups of modernist artists split from established schools and thoughts of Art. This first started in Paris and Munich, before moving onto Vienna, Berlin and finally, Cologne. The best known ‘Secessionist’ movement happened in Vienna and led to the birth of Art Nouveau. Art Nouveau is inspired by natural forms and structures, like plants, flowers and curved lines. 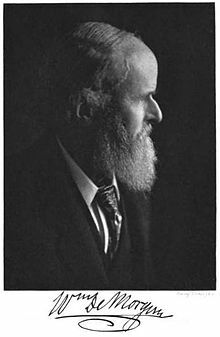 Art Nouveau grew out of the Arts and Crafts movement (although it formed alongside the latter half of this movement) and the designs of William Morris. 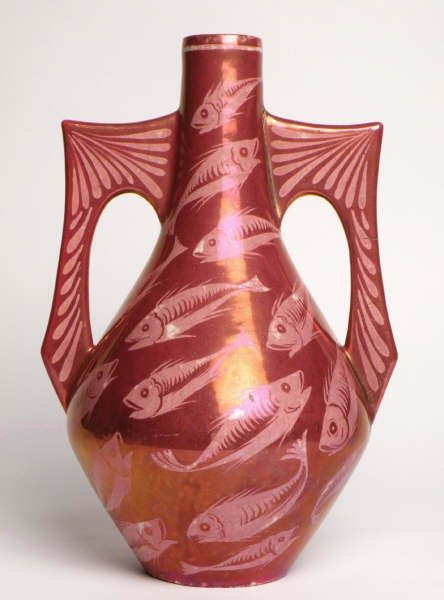 Joseph Hoffman, an artist of the Vienna Secessionists, broke away from the Art Nouveau movement to form the Wiener Werkstätte, the Austrian version of the Arts and Craft Movement. Categories: Uncategorized | Tags: 1900, 19th century, 20th Century, Art Nouveau, Arts & Crafts, Austria, Charles Rennie Macintosh, collection, Historic house, Joseph Hoffman, Morris & Co, National Trust, Objects in Focus, Secessionism, Standen, Vienna, Vienna Secessionists, Wiener Werkstätte, William Morris | Permalink.